Whether its WAREHOUSING, DROP SHIPPING or HOME DELIVERIES you’re looking for, Kinetic Logistics can do it all. We are a home delivery company who specialise in delivering furniture, electricals and other fragile goods for the retail industry. We offer a comprehensive UK wide home delivery and furniture drop shipping service, and pride ourselves on being the most careful delivery company available in the UK today. So if its a white glove or 2 man delivery service, then we are the complete service you have been looking for. All deliveries are electronically tracked, all collections and deliveries are booked in advance. Well trained staff ensure a reliable, professional and careful service. 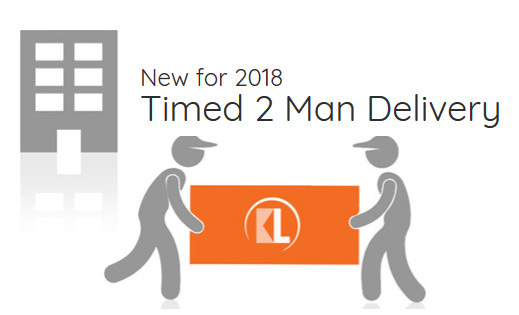 Kinetic’s clients are based throughout the UK, we provide a complete home delivery solution for large furniture retailers, as well as a full collection and delivery (drop shipping) service for stand alone retailers. All collections are FREE and we operate a simple three-tier pricing structure so rates are competitive whether we are delivering small or large items. Watch this short video explaining our delivery process, the technology we use to ensure your items arrive safely, and the reasons why we formed Kinetic Logistics. The combination of all of these factors are why Kinetic Logistics are so successful today.